Avi shares that his specialty is Mud. He has loved and supported the practice, Thay, and the community for many years. 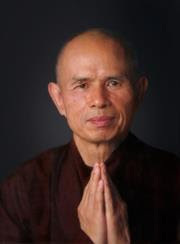 Avi has practiced with Thich Nhat Hanh since 1993 including many visits to Plum Village and Green Mountain Dharma Center. He was ordained in the Order of Interbeing in 1996. In 2008 Thay offered Avi the new dharma name of True Sound of Compassion. Click here for a talk by Avi at TEDxTimberlane Schools. Bring: You are invited to bring a vegetarian lunch and tea or snacks to share at the tea table, cushions for sitting, yoga mats and a cover for deep relaxation, warm clothing for possible outdoor walking meditation and personal contributions for the altar. Cost: By donation (dana) –The teaching is seen as priceless and offered in the spirit of generosity with the opportunity to contribute in a dana basket on-site. A $5 registration fee at the door will cover expenses. For this Day of Mindfulness we have the opportunity to practice “dana” or generosity in the Buddhist tradition. 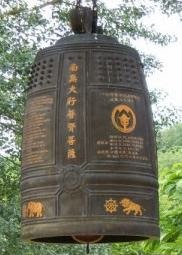 There will be a large bell or bowl at the entry to the meditation hall for offering donations of gratitude for the teaching. We offer our practice and donations of time, energy and material/financial support to our dharma leader and the sangha. For this day, the dana collected will be given directly to Avi to support his teaching in every way. Additionally any excess registration monies will be added to the dana bowl. The Buddha gave the people in northern India and Nepal an incredible gift when he walked with his begging bowl. Anyone who was fortunate enough to add even one lentil continues today in all of those touched by his teachings. Whenever we recognize our ancestral teachers, we recognize all who contributed in their lifetimes. Our opportunity to practice dana in this way is a great gift as well. It is an opportunity to enter the stream of supporters through donations to our dharma leader as he shares this ancient and eternal practice in our modern world.